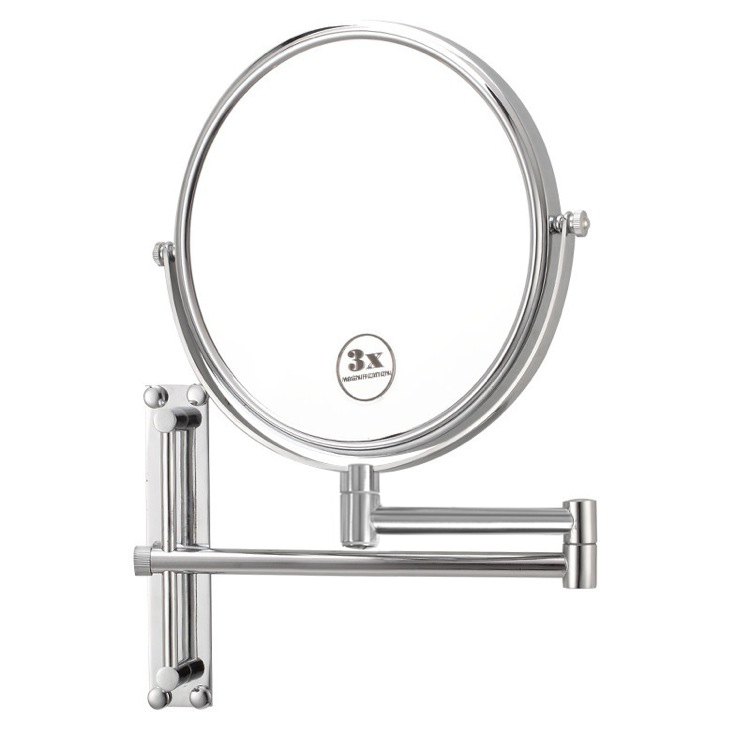 Made from high quality brass this round wall mounted makeup mirror is available in two finishes, either chrome or satin nickel. Its double-faced and comes with an extendable arm. 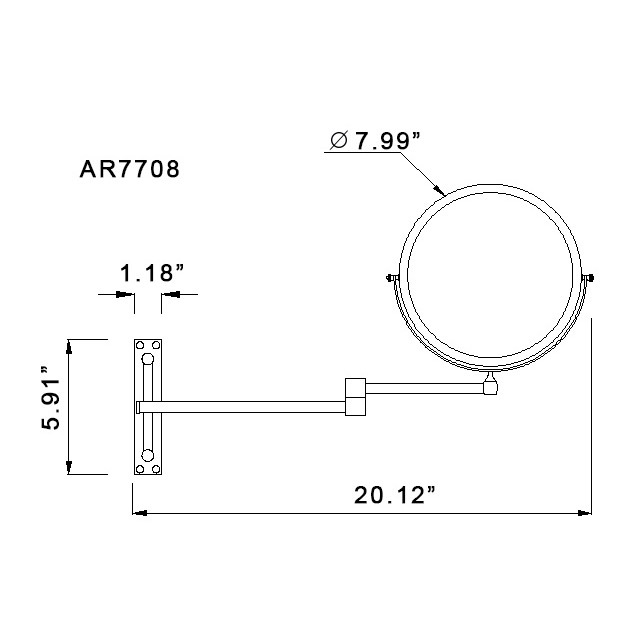 With 3x magnification and 8" round mirror face, its perfect for any contemporary design.